SACRAMENTO, Calif. /California Newswire/ — A measure, SB 1342, authored by Calif. 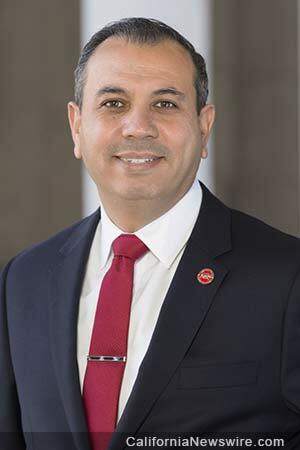 Senator Tony Mendoza (D-Artesia) that would protect workers by paving the way for a statewide mechanism at the local level to fight wage theft, was approved today by the State Assembly today on a unanimous, bipartisan vote of 78 to 0. The bill now goes back to the State Senate for concurrence. “I am pleased that SB 1342 was approved today by the State Assembly on a bipartisan vote. As counties and cities in California move to raise the minimum wage, we must ensure that our low-wage workers, who already face so many challenges, receive the pay that they have earned. This bill will help cities and counties throughout the state to investigate non-compliance with local wage laws,” said Senator Tony Mendoza. Fifteen cities in California have passed minimum wage ordinances going beyond the State-mandated $10 an hour. In many cases however, employers do not obey these laws. For example, San Francisco City and County have passed ordinances to raise the local minimum wage to $12.25 an hour. Additionally, they have set a precedent by creating an Office of Labor Standards Enforcement to uphold these laws and address the shortfall in local wage enforcement. Moreover in Los Angeles County, which possesses a population more than 11 times larger than San Francisco County, workers are denied over $26 million a week in earned wages and have no local enforcement mechanism to assist them. SB 1342 would clarify and promote the legal capability of county and city governments to assist the State Division of Labor Standards Enforcement (DLSE) in fighting wage theft by encouraging local and county governments to participate in investigations involving this practice. Specifically, it would eliminate the ambiguity in the law surrounding the power of county and city officials to issue subpoenas in order to investigate allegations of wage theft. Also, it would allow counties and cities to partner with State and Federal officials in wage theft investigations. Currently the DSLE is the primary entity charged with examining these cases, but this bill would help expand the number of people able to conduct wage theft inquiries. Wage theft occurs when an employer does not pay a worker all of his or her earned wages. This includes unpaid minimum wage, unpaid overtime, and off-the-clock work. Wage theft among immigrant and low-wage workers is pervasive statewide and hurtful to workers and their families. It reduces the take-home pay of workers, contributing to food insecurity, and unstable housing, amongst other issues. In addition to the recent statewide increase, local governments across the State have raised their local minimum wage. Wage enforcement resources have not kept pace with the scale of wage theft in California. If SB 1342 is approved, county and city officials would have clearly-defined authority to compel employers to produce documentation that proves that they are complying with minimum wage laws. In doing so, these officials would assist in making sure employers are not causing the many associated hardships that come from denying workers the protection of minimum wage laws. “Making it clear that cities and counties possess subpoena power for minimum wage theft investigations will provide Californians with greater assurances against employers who would try to deny workers their justly-earned pay,” said Senator Mendoza.